FURIOUS fans have taken to Twitter to vent their frustrations about the most shocking ending in Bachelor history. In a surprise twist, Nick Cummins opted not to chose Sophie Tieman or Brittany Hockley as the winner because he didn't have strong enough feelings for either of them. But fans waiting for the show's typical fairytale ending took to Twitter to blast the Honey Badger's decision. Earlier in the episode Nick had dropped the first hint that he would be walking away solo, despite Brittany declaring she was "completely in love" with him. Meeting up with his family before the final decision, Nick admitted he was struggling with his feelings. "I didn't think at this point it would be this difficult," Nick admitted. Meanwhile Nick's sister Bernadette predicted the ending telling the producers: "I don't see that either one is the complete package for him." 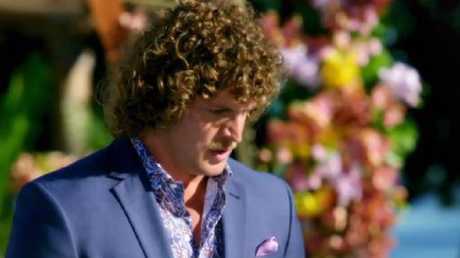 On Wednesday night, Brooke Blurton became the third contestant to walk away from The Bachelor this season, frustrated by Nick's lack of emotion. "I'm struggling feelings wise for everyone," Nick told Brooke during their date. "I think as we get down to this part, I'm challenged. It's like having three girlfriends, it's a very strange concept. And I'm finding it hard to break past barriers. I'm struggling to get those feelings to move on … with everyone, anyone."